The East Coast’s Largest Cannabis Industry Event! 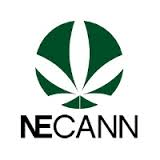 Since 2014, NECANN events have been home base for the New England cannabis industry. We consistently attract the largest number of Hemp, MMJ and Cannabis industry professionals in the Northeast to our annual Boston Cannabis Convention and this year will once again be the largest, most important cannabis industry event on the East Coast! Our annual New England Cannabis Convention in Boston is considered the can’t-miss event of the year by cannabis growers, consumers and business cultivators across the region. Last year the event boasted an attendance of over 9,000 people. With the recent legalization of recreational marijuana sales in Massachusetts, we’re looking to top that with an estimated 10,000 attendees for this year.